Deep straw colour, nose mature and full, creamy and lactic, ripe cheddar complex smoky and damp hay or cloth, palate round and full with that amazing Ramonet streak of pure minerality down the centre of palate, very long flavours of cinder toffee and creamy fudge keep resonating back. 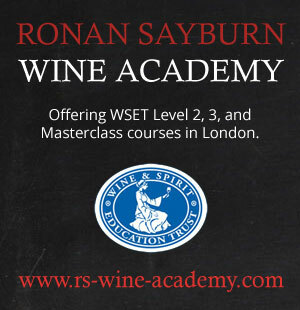 Ronan Sayburn was one of the first true Sommeliers who welcomed me into Sommellerie over 10 years ago, opening his door to share his knowledge and assist in developing my sommelier skills whilst working in Michelin starred establishments. He has been a direct influence in my professional development and wine studies including national and international sommelier competitions. His willingness to assist and support anyone with a true desire to further themselves in the hospitality industry is effortless, and one which echoes across the UK and abroad through world-wide recognition and respect amongst his peers and leading industry figures. Matt Wilkin M.S., UK Sales and Marketing Director, H2Vin Ltd.